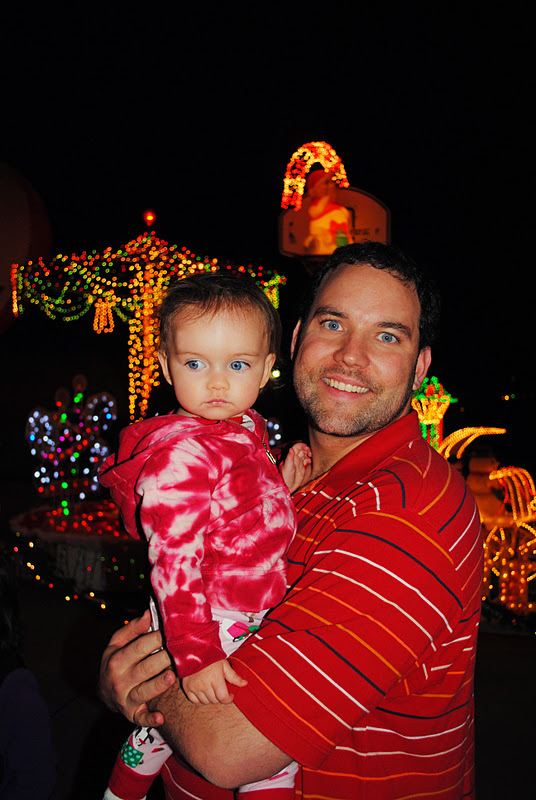 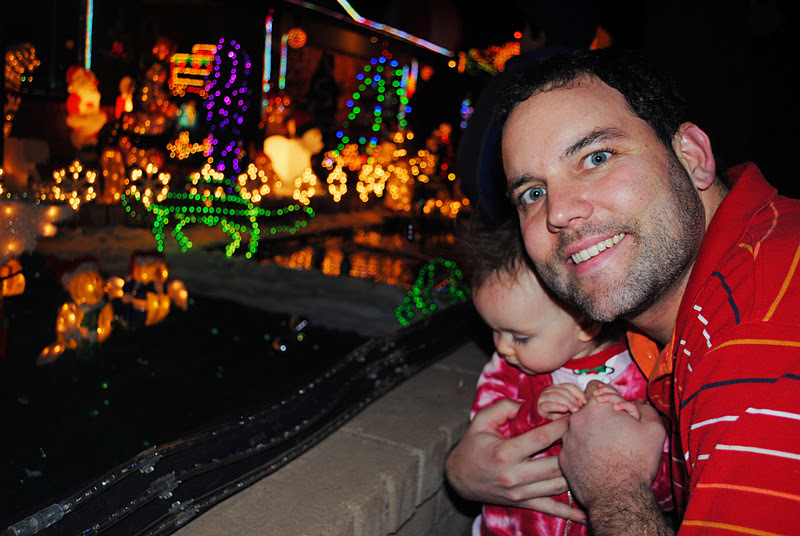 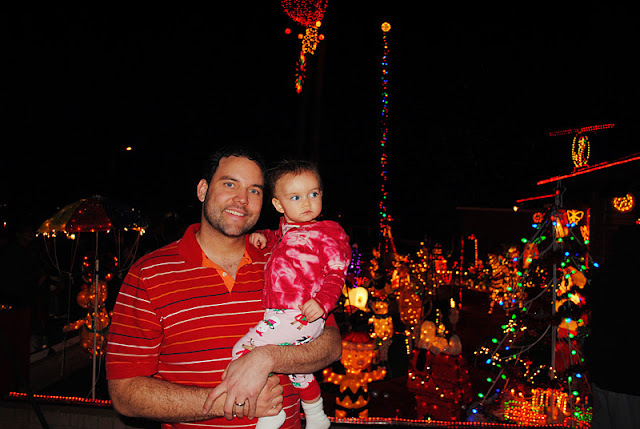 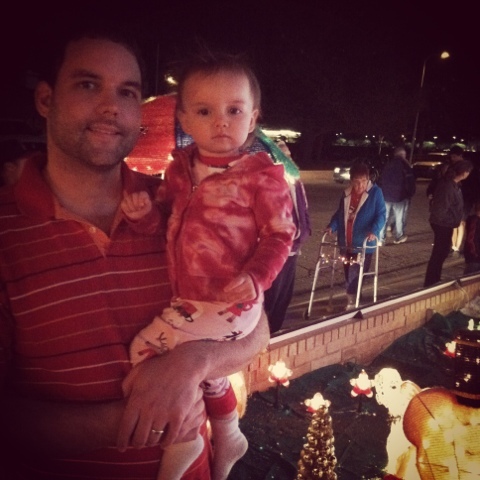 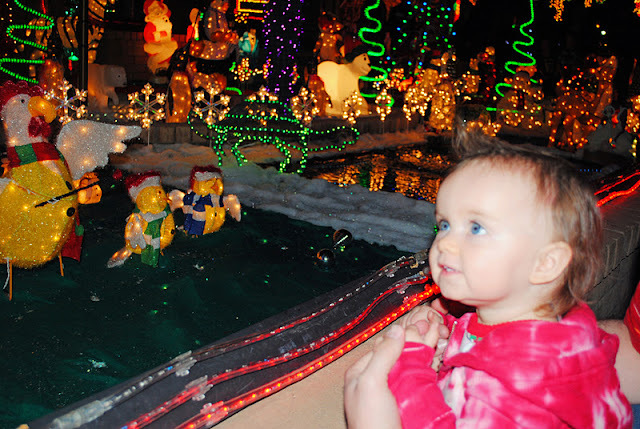 We are nearing the end of our Holiday Happenings/Outings but are excited for Aunt Heather/Baby Dot & Uncle Shayne to come to town so that we can go to Glendale Glitters and have the CELEBRATION of Christmas begin! 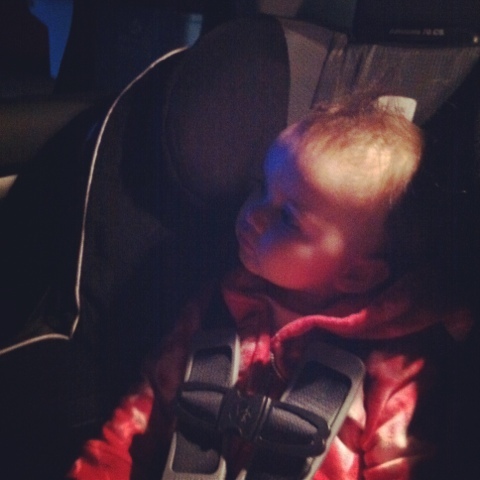 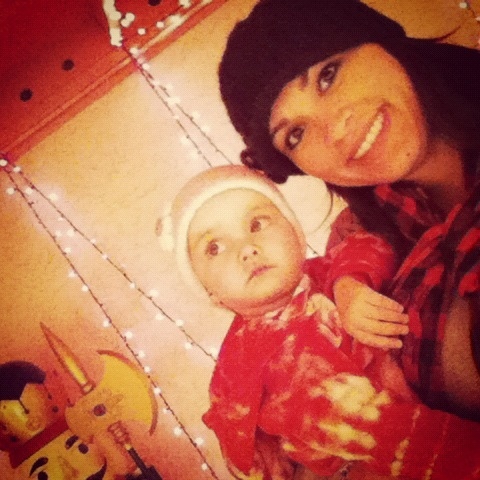 Lil penguin PJ's and looking at the penguins in the yard! 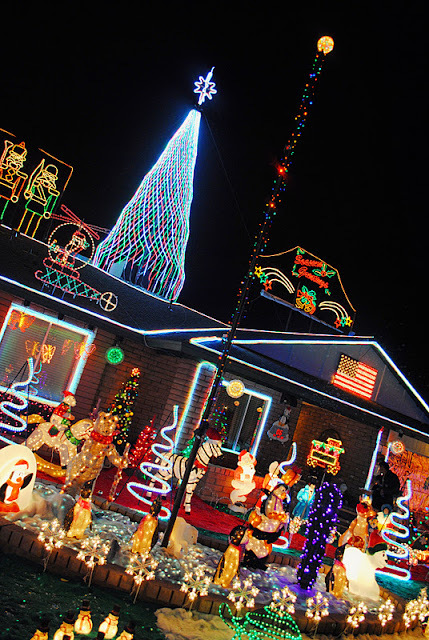 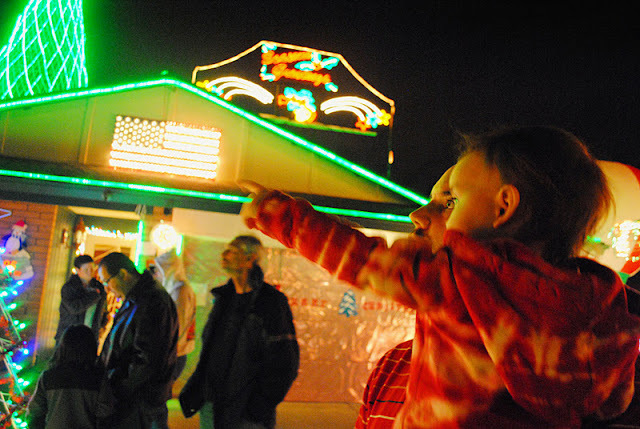 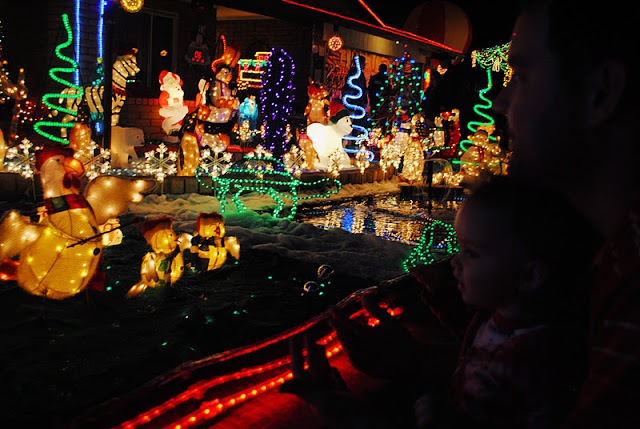 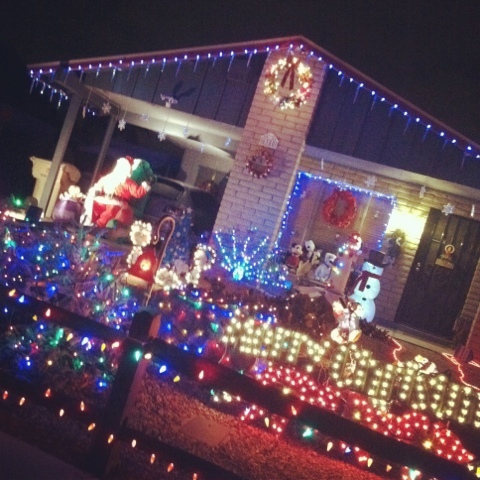 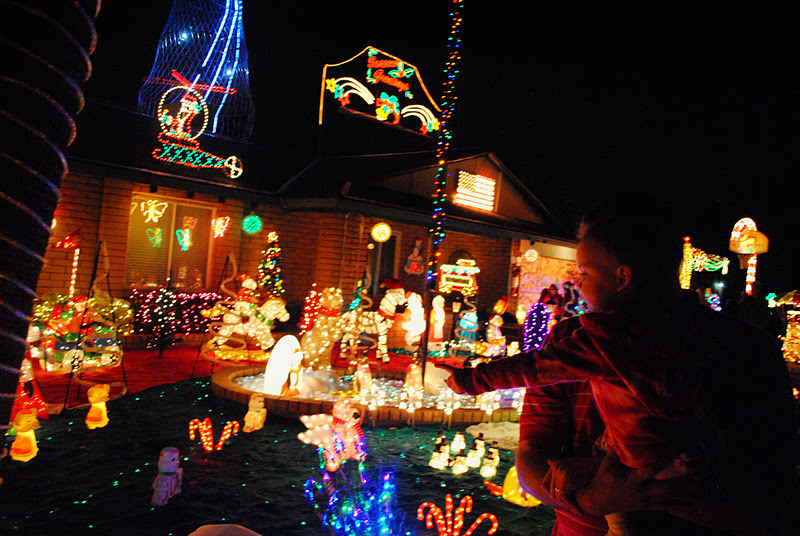 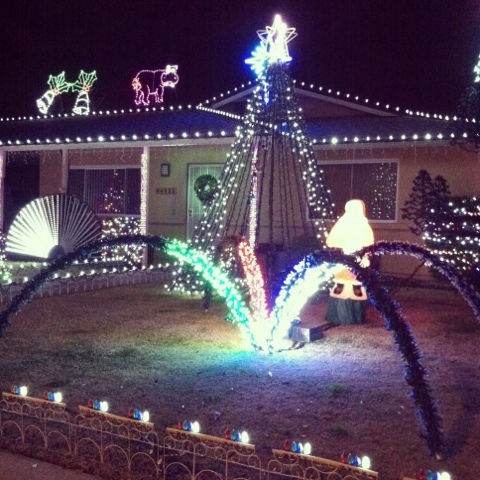 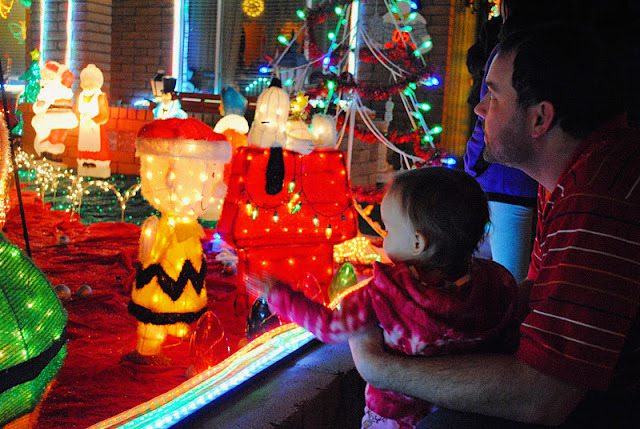 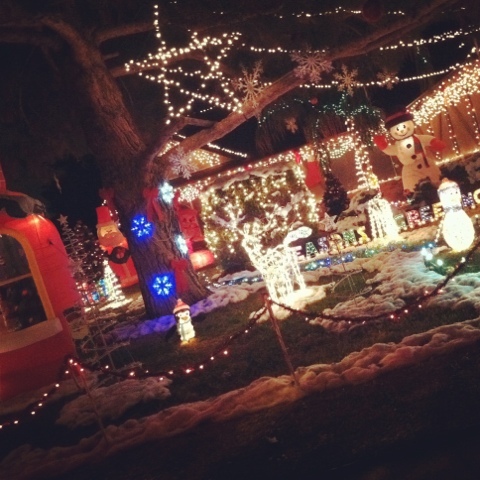 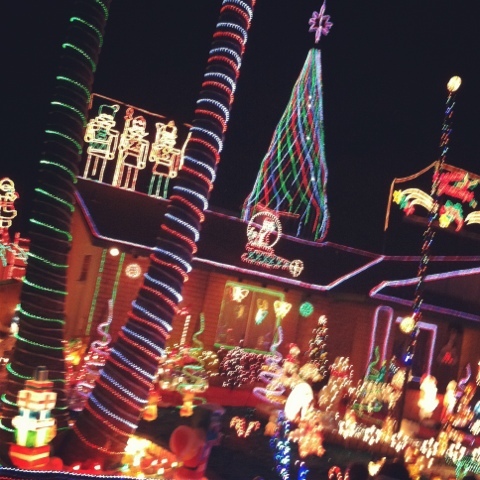 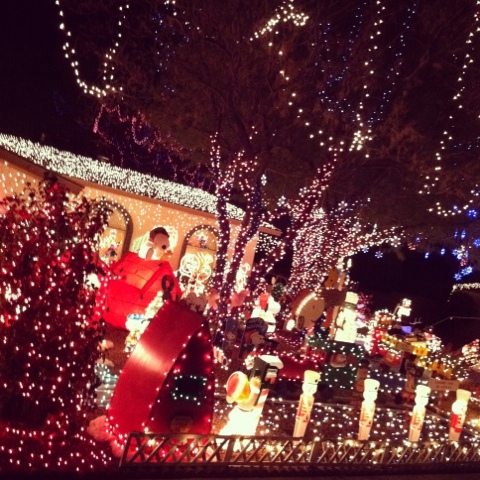 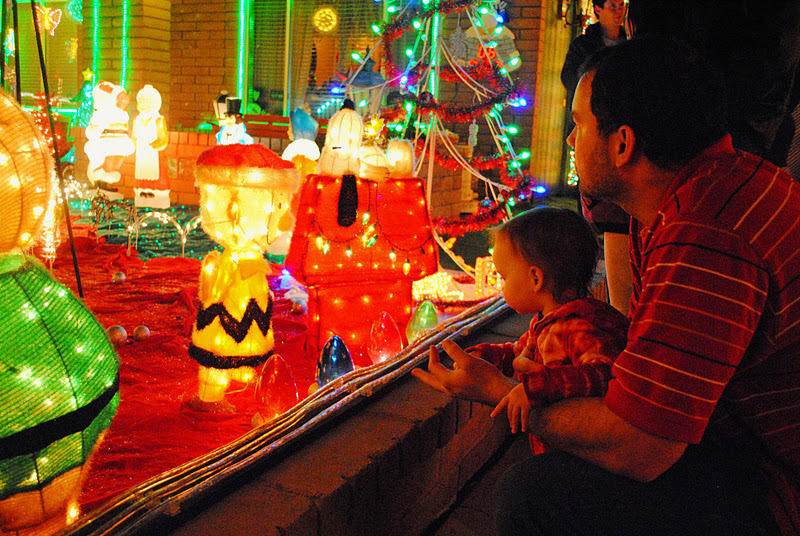 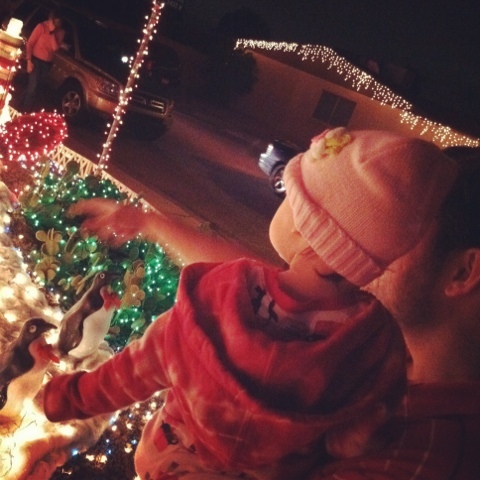 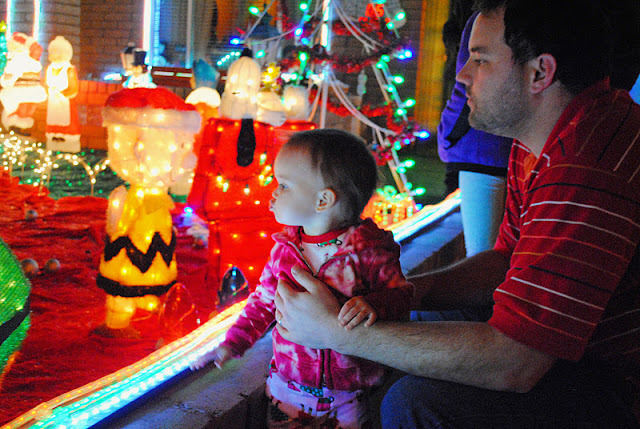 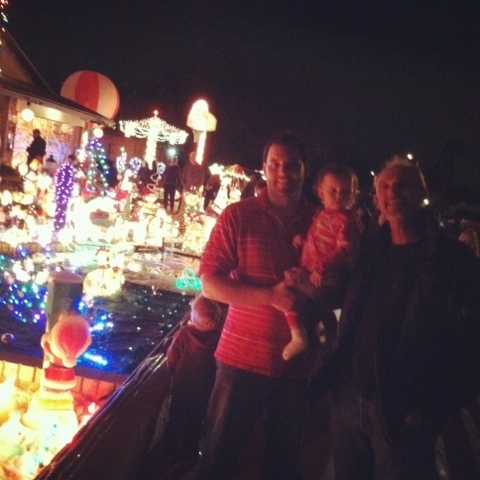 Looking at House #1 with their coordinating lights with the radio station we had on!